While you can always pick up a decongestant from the drugstore, some of the best sinus headache treatments in Buffalo, NY come from Mother Nature herself. Before popping a pill, consider one of these home remedies. How Do You Get Rid of a Sinus Headache? Most of the time, the best sinus headache treatment in Buffalo, NY is simply TLC. If a sinus headache is caused by a more severe infection or nasal growths, you’ll have to visit your local ENT. However, more often than not, your sinus headache symptoms will disappear on their own within a few days. What Essential Oils Are Good for a Sinus Headache? -Oregano Oil– The carvacrol and thymol in oregano oil does wonders for sinus infections. Try 500mg of oregano oil four times per day to help ease your symptoms. Simply drop the oil into a bowl of boiling water and breathe in the steam. -Grapefruit Seed Extract- Grapefruit seed extract is commonly used in nasal sprays for its antiviral properties. Using it directly a few times a day can help boost your immune response. -Garlic- Okay, so this is not an essential oil or extract, but it’s one of nature’s best antibiotics and a powerful sinus headache treatment in Buffalo, NY. Not only will it help you recover more quickly, but it can also help prevent colds and sinus infections in the first place. Try get at least one clove of fresh garlic or 0.4-1.2g of garlic powder per day to get the effects. -Echinacea-Echinacea is an herb that contains active ingredients that naturally fight viruses and bacteria and reduce pain and inflammation. Contact an herbalist to get a hold of this sinus headache treatment in Buffalo, NY. -Eucalyptus & Peppermint Oils- Eucalyptus and peppermint oil are known to effectively help clear the sinuses. Rub a drop of food-grade oil on the top of the mouth and drink water to help wash it down. What Happens if You Let a Sinus Headache Go Untreated? Common sinus headache causes include allergic rhinitis, common respiratory infections, an even a change in air pressure. If you have a simple infection, your body should be able to overcome the issue on its own. However, if after two weeks have passed you’re still suffering from pain, see your local ENT to see if he can help you find a sinusitis treatment. Are You Really Allergic or Just Intolerant? Just because you’re intolerant to a food doesn’t mean you’re allergic. Find out whether you need to visit the allergy doctor in Buffalo, NY. | Just because you feel sick when you eat a certain food doesn’t necessarily mean you’re allergic to it. While your symptoms may be more or less the same either way, differing perhaps only by degree, an intolerance and an allergy are two totally different things. While an intolerance may put your body in discomfort, an allergy will mobilize your entire immune system. If you’re planning to visit the allergy doctor in Buffalo, NY, you’ll want to keep this difference in mind. Nervous for your first visit to the allergist in Buffalo, NY? Don’t be! Here’s what to expect and how to best prepare for your upcoming appointment. responses might actually be preventing us from developing cancer. Adolescents in Buffalo, NY are busier than they ever were before. With violin lessons, baseball practice, youth group, social activities, and homework, they’re constantly under pressure. A recent study finds that those who also suffer from hay fever might be at a higher risk for developing depression and anxiety because of the added stress. If your child has an allergy, allergy testing can help you identify the allergen and develop an actionable plan for relief. Pediatric Ear, Nose, and Throat | Your little bundle of joy is unique not only personally but also anatomically. 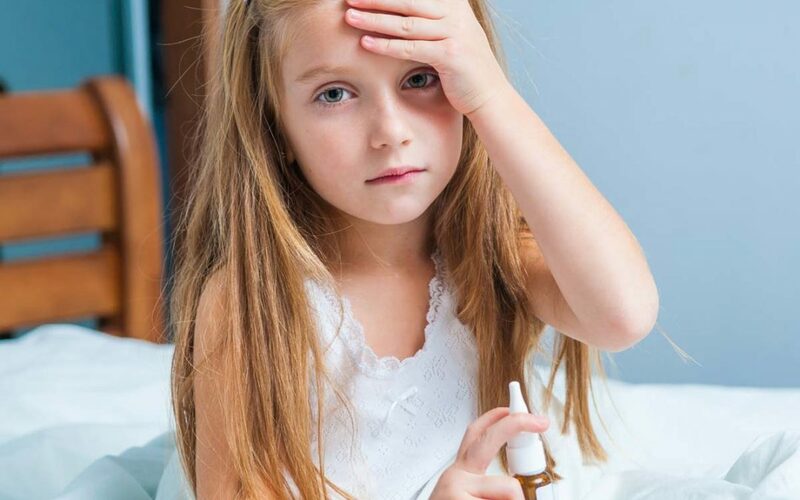 If your child has a terrible case of the sniffles, then you might need a doctor who specializes pediatric ear, nose, and throat disorders. ENTs that specialize in pediatrics will be able to cater to your child’s specific needs. Can Live Christmas Trees Trigger Allergy Symptoms? December is here, and it seems like everyone is in the holiday spirit…well most of us our at least. If you’ve been feeling under the weather the past couple of weeks, it might be because of your Christmas tree. Believe it or not, live Christmas trees in Buffalo, NY have been found to trigger symptoms for those with allergies to mold. What is the allergy forecast in Buffalo, NY? The Buffalo, NY allergy forecast can tell you the daily pollen count for specific plants and trees in that area. By measuring the average number of grains of pollen per cubic meter of air, the pollen count serves as a rough guide to breathing comfort for anyone who may suffer from environmental allergies.